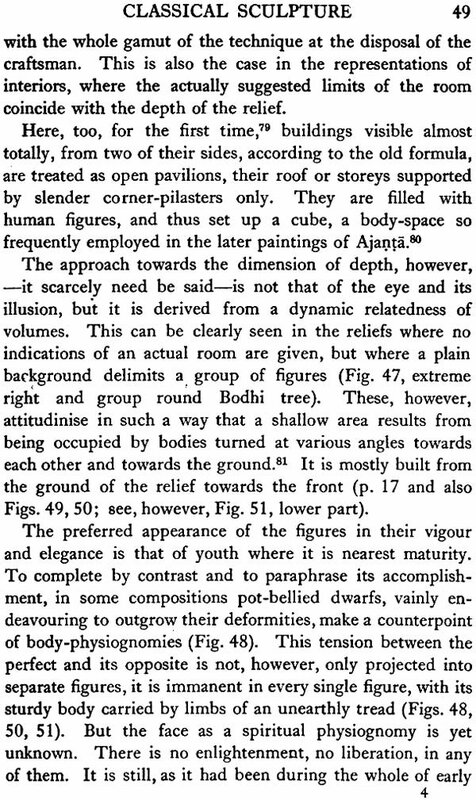 The book surveys the structure Indian sculpture in its relevant aspects. The underlying and essential qualities are viewed in their permanency throughout the special conditions that the single monuments imply. Their outward connections, geographical and chronological, are seen to resolve themselves into ethical problems and those of the artistic process its elf. While stylistical investigations are the basis of this book, Indian sculpture is dealt with as conditioned by the Indian craftsman. 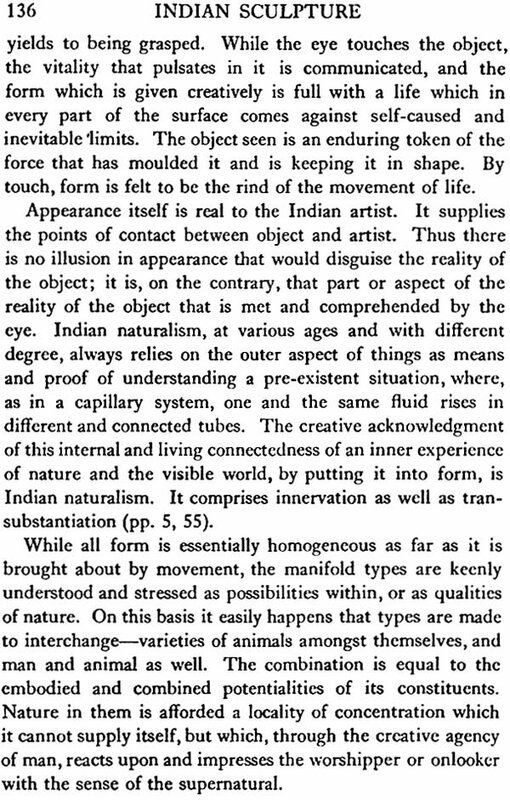 His consciousness makes him known to himself as a part of nature and his work is the form of this ‘naturalism’. 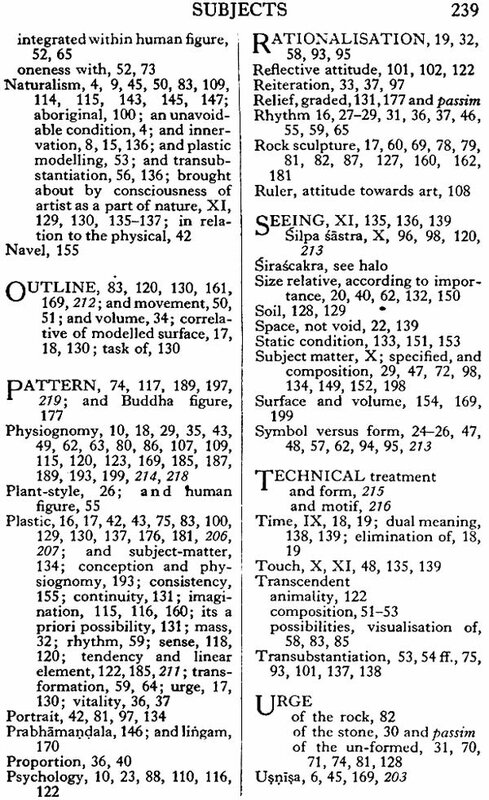 Its degree and aspects vary according to the levels of his consciousness. Stella Kramrtsch was Professor at the University of Pennsylvania and Curator of Indian Arts at the Philadelphia Museum of Arts. She was also previously Professor of History of Indian Art at the University of Calcutta. Her books on Indian Art are now considered classics. 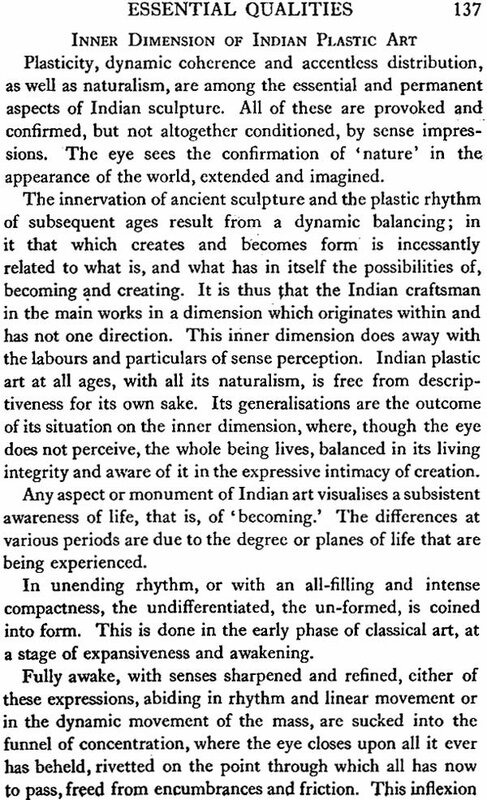 Anyone with an understanding of art in general and a knowledge, however slight, of Indian things, will, on being shown a work of Indian sculpture, unfailingly label it Indian. Differences in age and origin, however clearly marked to the discerning eye, when pointed out to the outsider, will be apprehended only with more or less difficulty. There is something so strong, and at the same time unique, in any Indian work of art that its ‘Indianness’ is felt first of all, and what it is, is seen only on second thought. How this Indianness is expressed in terms of relation between line, surface, volume and other elements of visualisation, will be dealt with here. 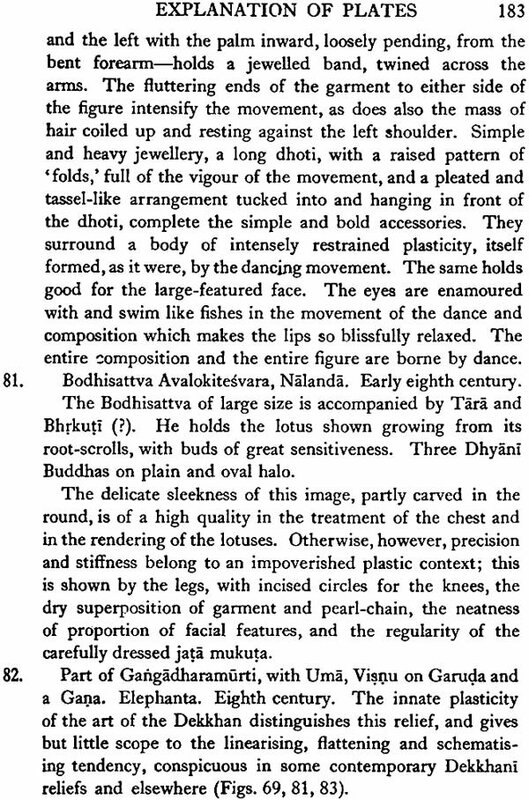 That there are permanent qualities throughout the fabric of Indian sculpture, and what these qualities are, will have to be shown. 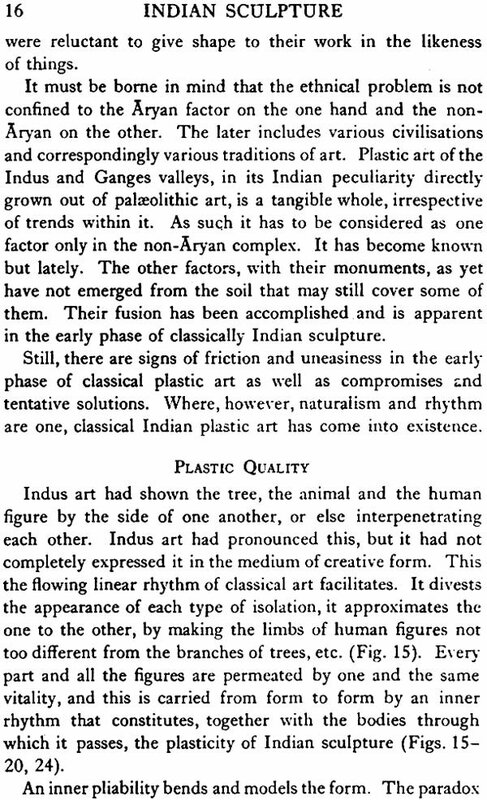 These essential qualities, all inter-related and inseparable, contain within their compass the life of Indian plastic art. Yet although permanently present, it does not always encounter the same possibilities of manifestation. Time and place determine those possibilities according to their own conditions. The part they play is provocative only and not constitutional. Now one, then another quality will be stressed or else be subdued; but it persists, whatever its degree, within the given total. 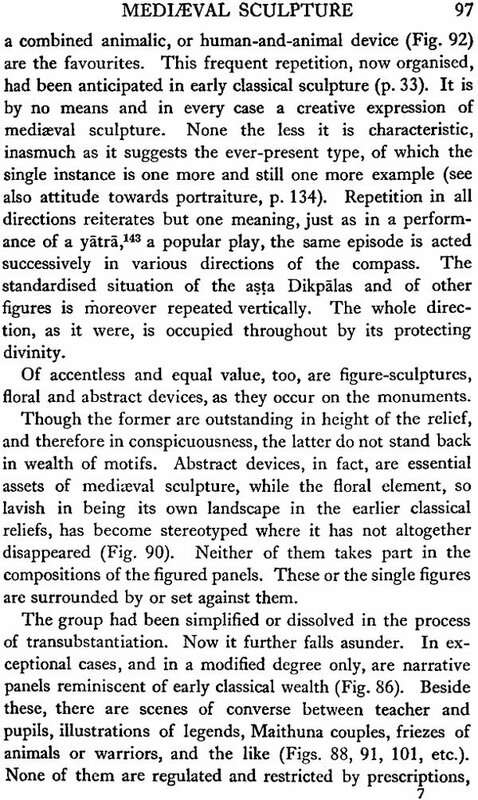 Within this flexible constancy the provocation however acts still further and elicits various reactions that appear to be temporary or local only; yet, in spite of this limited validity, integrally belong to the whole. 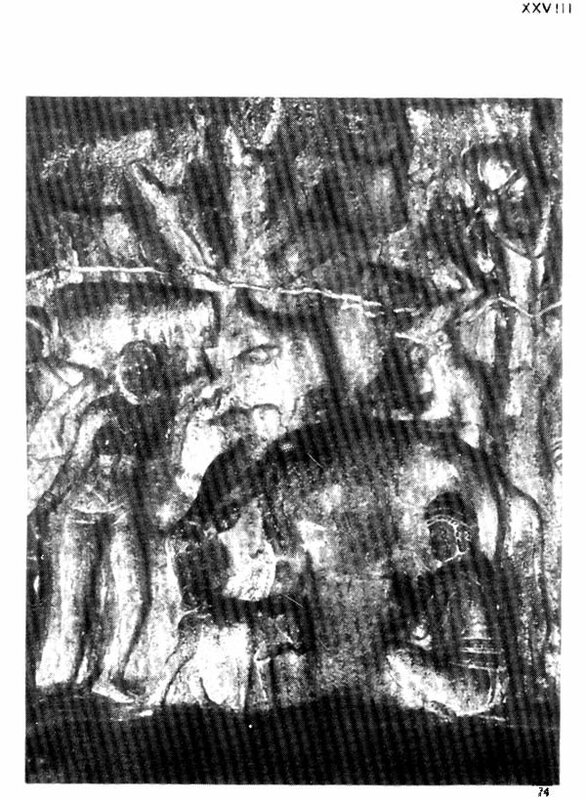 It is not the purpose of this book to give an outline of a history of Indian sculpture. For detailed accounts of monuments, the reader not familiar with them may consult the publications enumerated in the bibliography. Western terminology cannot be applied without reservations when studying Indian art. 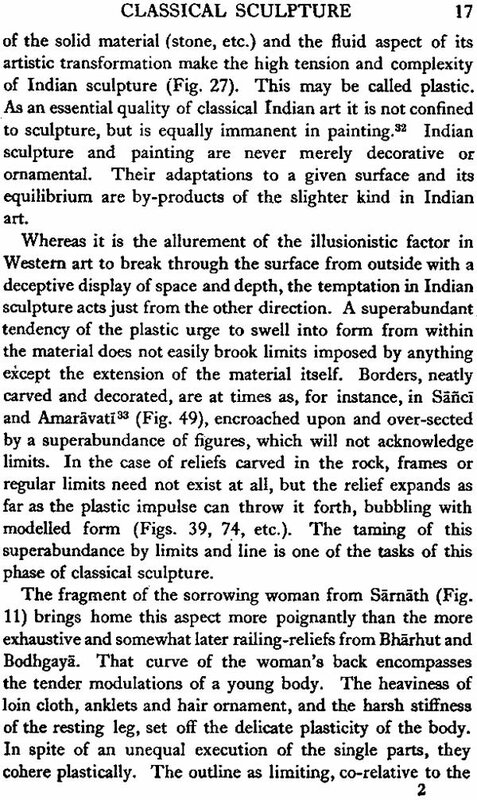 Western methods of art- criticism, too, have to be recast according to the demands of Indian sculpture. Indian terms, on the other hand, can also not be employed. 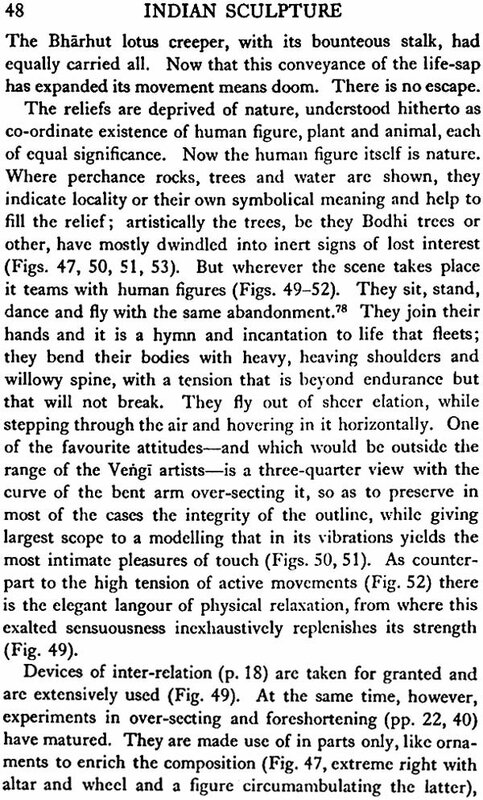 They occur in manuals for the use of the craftsmen and were based on a living tradition, inevitable for, and a matter of course with, the ancient Indian artist, inactive, however, at the present state. There was no need then to explain their implications. But as they stand, they do not convey their full meaning to the modern reader, and require interpretation which the sculptures themselves supply. 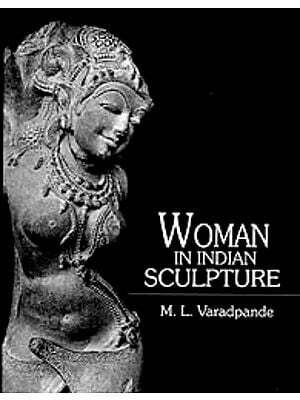 To arrive at an understanding of Indian sculpture, and to name some of its outstanding qualities that are not, and could not, be classified in the ancient manuals, but are vitally present in the works of art, is aimed at here. The structure and consistency of the plastic idiom are conditioned by the same bent of mind that gave their directions to the systems of Indian thoughts mode of seeing, a peculiar development of the sense of touch, help to render in visual terms a cognate outlook. 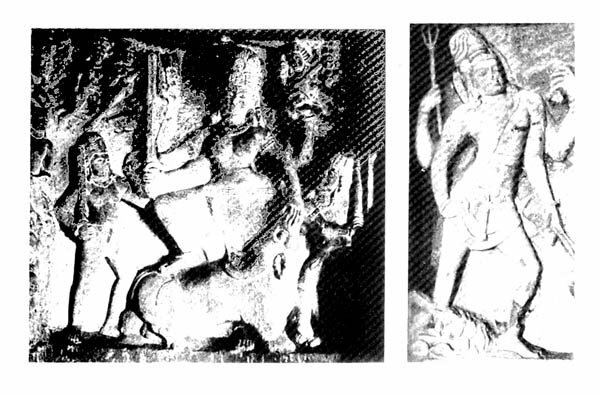 The experience common to both is the subject-matter of Indian sculpture. It cannot be dissociated from form, for it is integrally one with it. Iconography, however, was elaborated ‘for the benefit of the ignorant’ to enable them to recognise such experience beheld as myth. We late-corners are compelled to proceed retrogressively, from the surface which the work of art offers to its texture and roots. Form is the guide and quality the sole criterion. 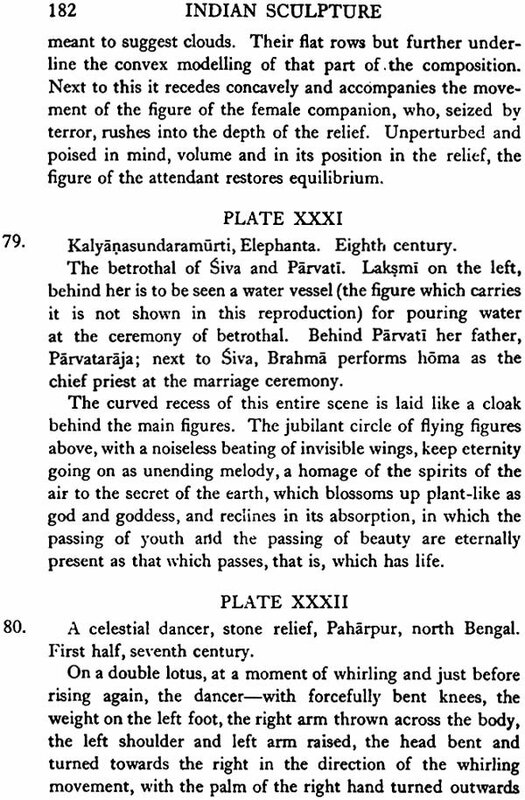 In the following pages the structure of Indian sculpture will have to be surveyed in its relevant aspects. The underlying and essential qualities will be viewed in their permanency throughout the special conditions that the single monuments imply. Their outward connections, geographical and chronological, will be seen to resolve themselves into ethnical problems and those of the artistic process itself. 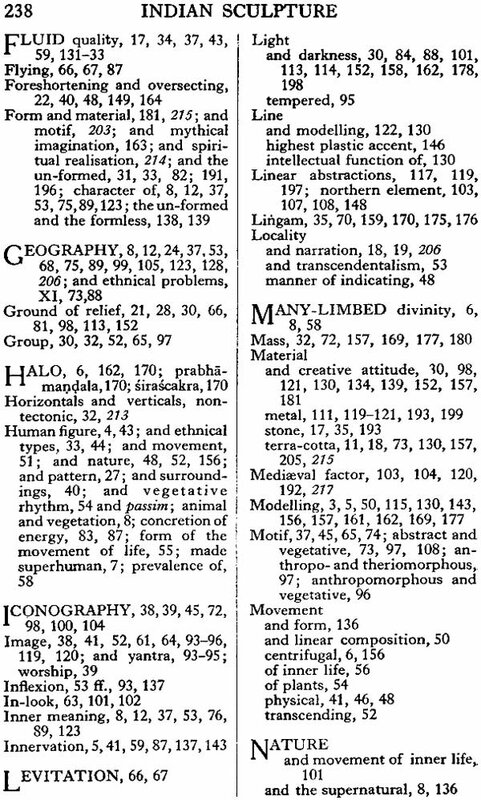 While stylistical investigations are the basis of this book, they are considered as indispensable preliminaries only. A formalistic treatment and with its, help a deductive demonstration of biological laws of evolution or periodicity are not attempted. Indian sculpture will be dealt with as conditioned by the Indian craftsman. His consciousness makes him known to himself as a part of nature and his work is the form of this ‘naturalism.’ Its degrees and aspects vary according to the levels of his consciousness. From 200 B.C. to A.D. 800 (subsistent from 200 B.C. 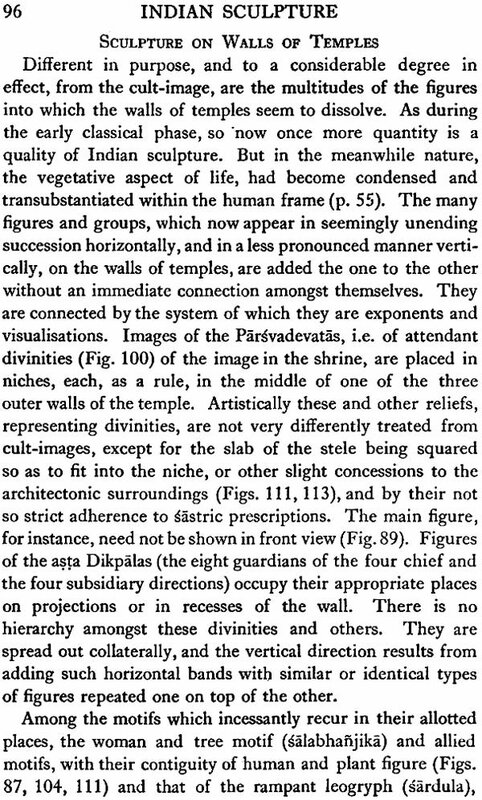 to the thirteenth century A.D in south India to the eighteenth century. First century A.D to third century A.D.